During the last edition of the Origin Chocolate event I had the enormous privilege of tasting the brand new bar created by Marou. It was so new they didn’t even have artwork for a new wrapper yet. Samuel Maruta offered me a bar of this new origin as a sample for my blog. I simply can’t thank Samuel Maruta and Vincent Mourou enough for this opportunity! 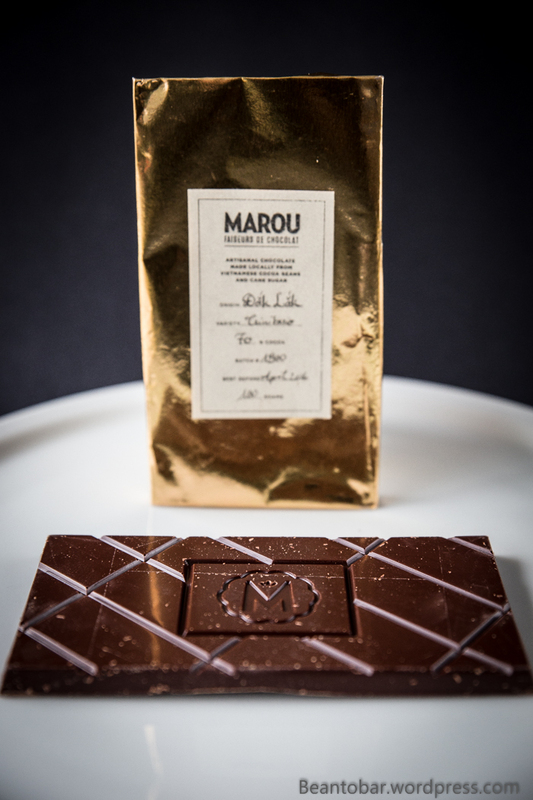 Marou is a pretty special chocolate company. There are plenty of creative and adventurous chocolate makers around. Actually it is a lot of fun to follow the facebook and twitter acounts of many of them to discover the crazy situations these chocolatiers get themselves into while using old equipment or experimental techniques. But Samuel and Vincent take it just that extra step beyond. They decided to create the chocolate in the country where the cacao they use is grown. Vietnam! So, we have two clever French guys having the best time they can have in an exotic country like Vietnam, pulling all sorts of stunts to get their hands on fine cacao and create chocolate with it. It does include riding and elephant and cruising around the countryside in a classic old school Citroen vehicle. But don’t be fooled, when it comes to the quality of chocolate they create, they are dead serious! Just like their fellow small-scale fine chocolate makers . 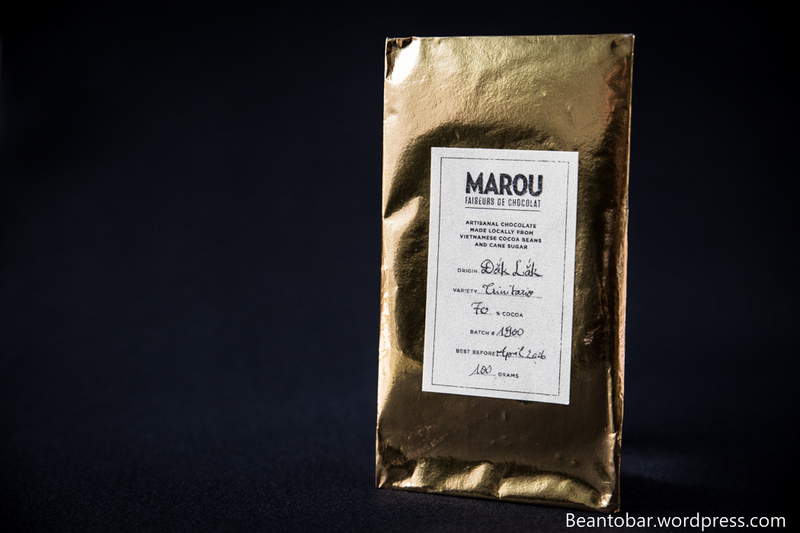 Even while this wasn’t a finished product yet, Marou always brings its bars in style. 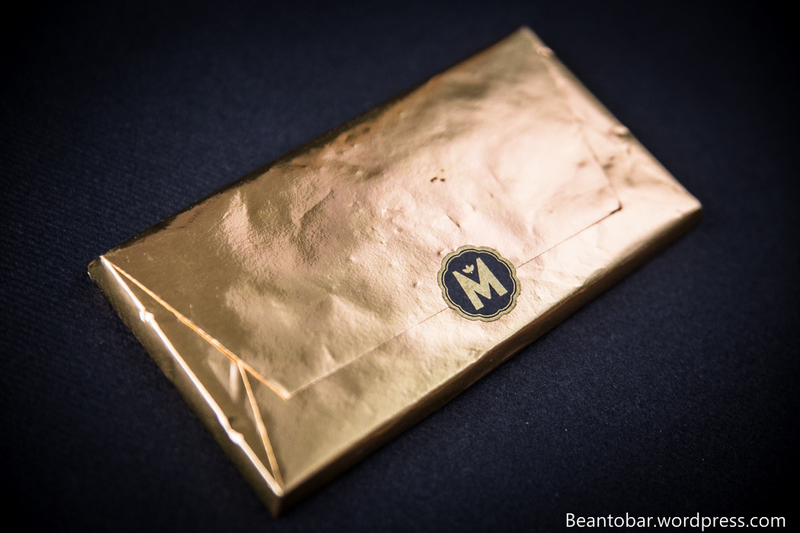 A shiny gold foil protects the bar, marked by a simple looking label. A hand written one that is! Stating the origin Dắk Lắk – situated in the central highlands of Vietnam, bordering Cambodia. Vincent and Samuel went great lengths to find that one farmer that could deliver them a high quality, aromatic cacao. The origin is pretty different from the others they used so far and during the Origin Event in Amsterdam they were looking for reactions from the audience on the flavor. 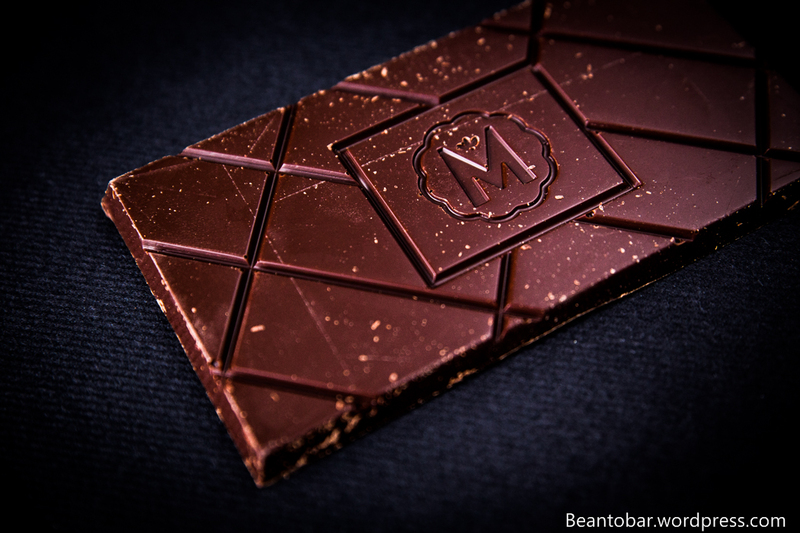 The chocolate itself is stunning like every other Marou bar. They always seem to squeeze the specific flavors from a region from the cacao beans, making every bar distinctly different from the next. The aroma coming from the freshly opened chocolate is overwhelming. The chocolate shines beautifully. 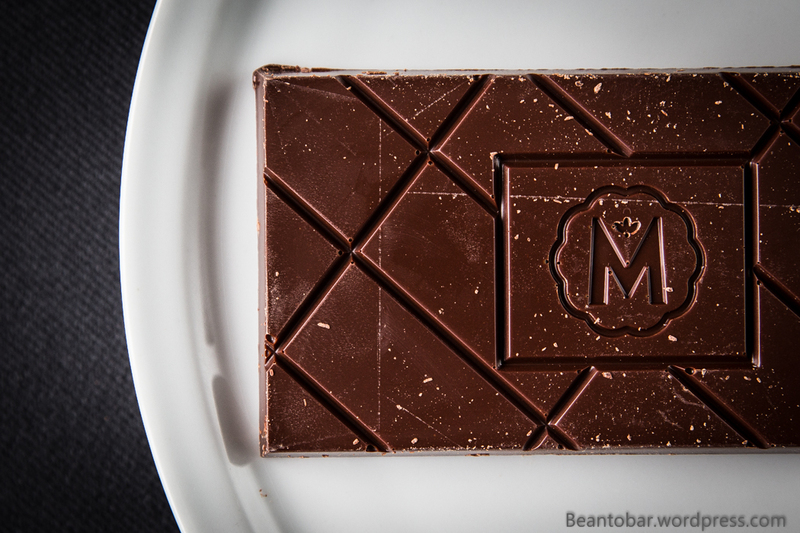 The traditional Marou bar design means you get a thick, hefty 100 g bar, scored diagonally. It will break the way it sees fit, not in prefect a rectangular piece – as if to state Marou doesn’t follow any of the classic rules in chocolate making. And we should be thankful for it. Color: A nice deep brown with red hue. Aroma: Strong. Sweet and slightly spicy, tropical warm with a touch of tobacco in the back. Taste: Semi quick starting with roasted bread followed by a strong brown sugar aroma. Gently turning over to liquorice with small twinkles of acidity and bitterness popping up to keep the aroma interesting and ever-changing. Did I just detect anise for a second? A deep and very satisfying chocolate flavor comes forth next. Near the end of the melt gentle wood aromas give body to the entire experience without overpowering the palate. The aftertaste follows the main aroma of the Dắk Lắk bar, slowly turning to volatile cacao, wood and faint spice aromas. The aftertaste keeps rolling and rolling in your mouth for an exceptional long time. The melt of the chocolate is great for such a thick bar, even as it is a bit dryer in appearance than French style chocolate. Unlike the other Marou chocolates I’ve tried so far, this bar doesn’t feature the nice, abundant spice tones and isn’t fruity at all, yet it delivers such an amazing warm and gratifying chocolate flavor, I would call it the ultimate comfort food on a dark, rainy day! It will be taking your mind miles and miles away to a warm and exotic Vietnam. 5 stars! So in a nutshell, Samuel and Vincent, it would be a crime not to take this bar to the shops! That’s a bar of pure gold you gave me!